With the recent changes in the in the Construction (Design & Management) Regulations (CDM) 2015 everyone involved in Constructions needs to be aware of the changes and how it impacts on their role. This half day course will provide an overview of the legal duties under current legislation for organisations and individuals involved in all types of construction work. This course is aimed at persons involved in construction work and associated sectors at all levels. It is designed to give delegates an overview of the legal framework as it relates to construction activities and also serves as a foundation for further specific training in construction. 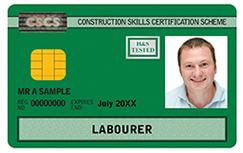 It is also suitable for any new workers within construction and associated sectors undertaking roles that are affected by CDM regulations 2015. ALL construction projects now operate under the regulations, even those for domestic clients. This is a major change from the 2007 Regulations.